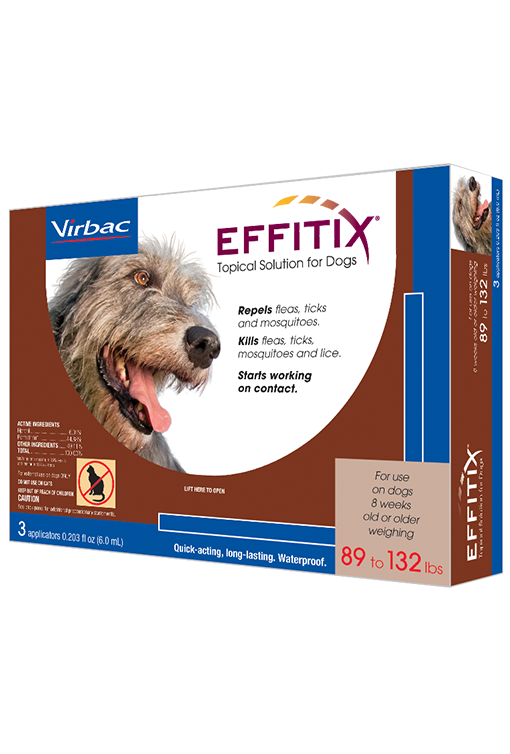 For convenient, quick-acting, long-lasting, effective control of fleas, ticks, mosquitoes and lice. 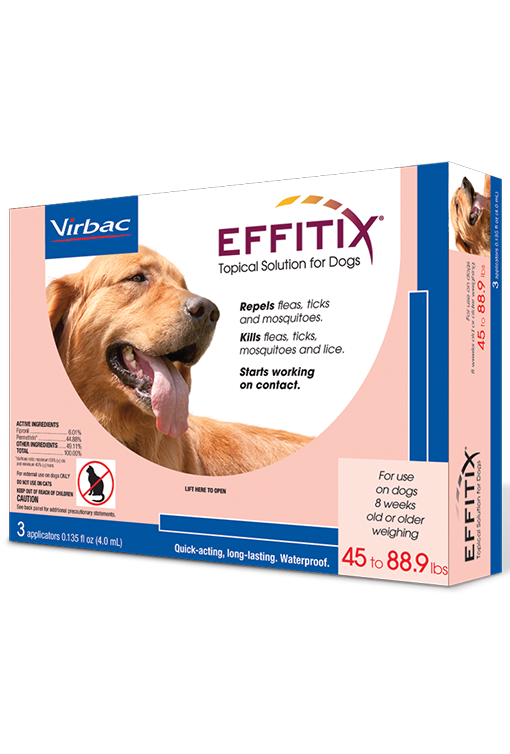 EFFITIX® Topical Solution for Dogs contains the active ingredients fipronil and permethrin, which control infestations caused by fleas, ticks and lice; repel against biting flies, and repel and kill mosquitoes. 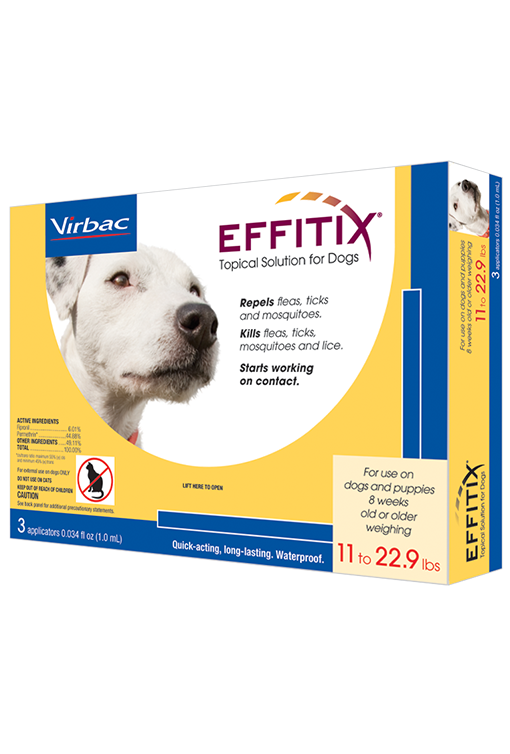 Convenient to use, easy-to-apply topical solution that is quick-acting, long-lasting and starts working on contact. 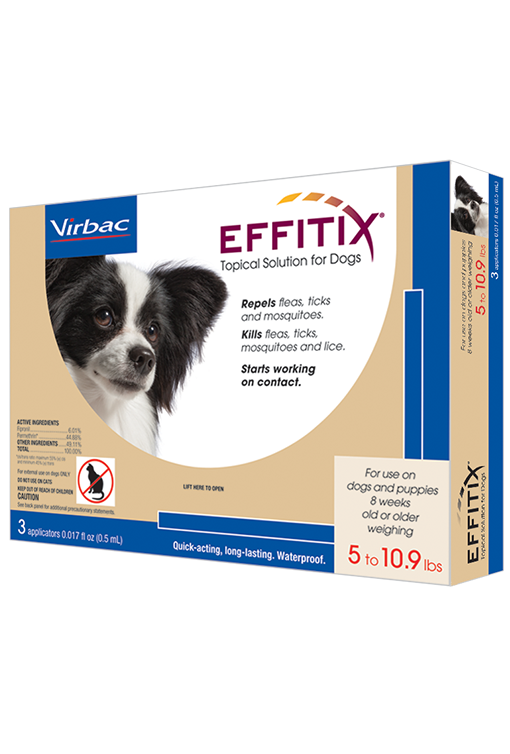 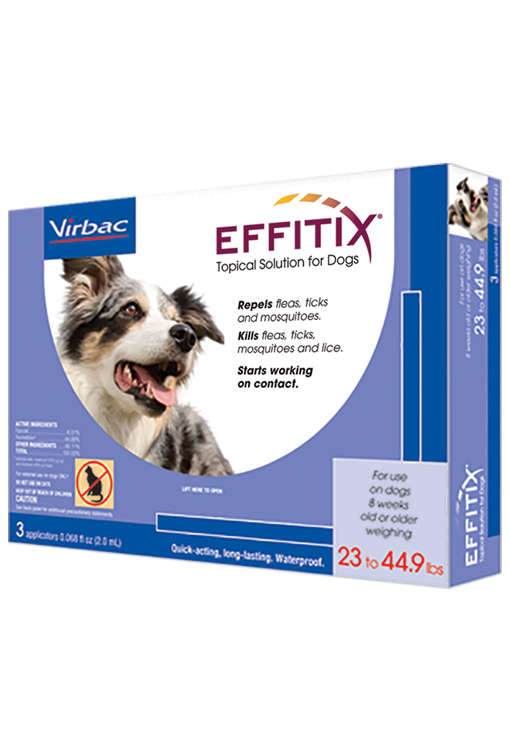 For easy and convenient application, EFFITIX Topical Solution for Dogs is available for puppies and dogs 8 weeks old or older and in 5 dose sizes for dogs from 5 to 132 lbs.